Heath Radley, a partner in the firm, focuses his practice on real estate, lending, oil & gas, business entities, acquisitions, contracts, condemnations matters, estate planning and probate law. 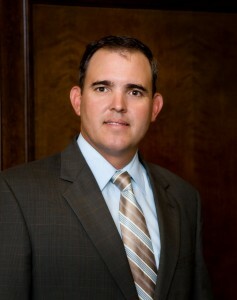 Heath is a member of the Wharton County Bar Association (President 2004), the State Bar of Texas, and the Coastal Conservation Association (Executive Board Member). Heath was also a past Director of the City of El Campo Development Corporation. Heath was born in El Campo, Texas and, in addition to his legal practice, he remains actively engaged in farming & ranching operations with his father and brothers. Heath is married to Cori, and they have two children, Owen and Claire. Heath and his family enjoy boating, hunting, and fishing along the Texas Gulf Coast in their free time.